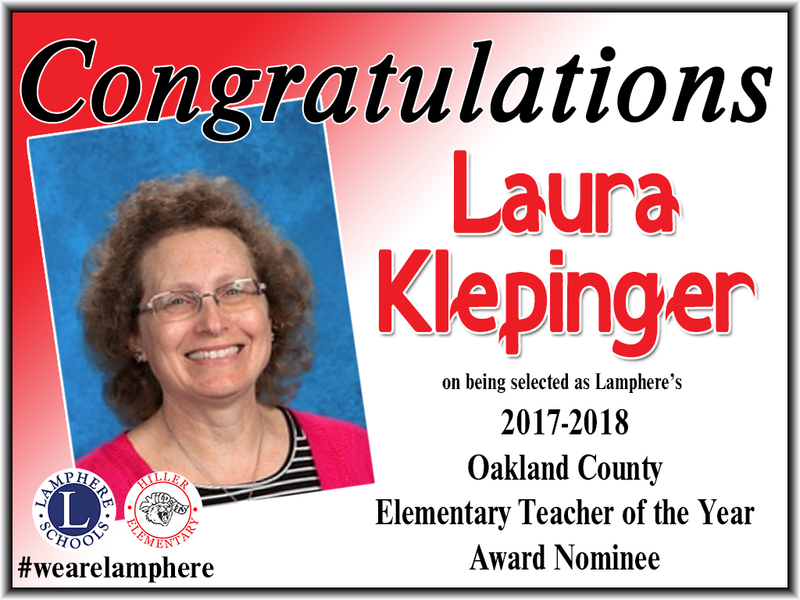 Please join us in congratulating Lamphere's nominees for the 2017/2018 Oakland County Outstanding Teacher of the Year Awards. This award recognizes an elementary, middle/junior high, and high school teacher from Oakland County. 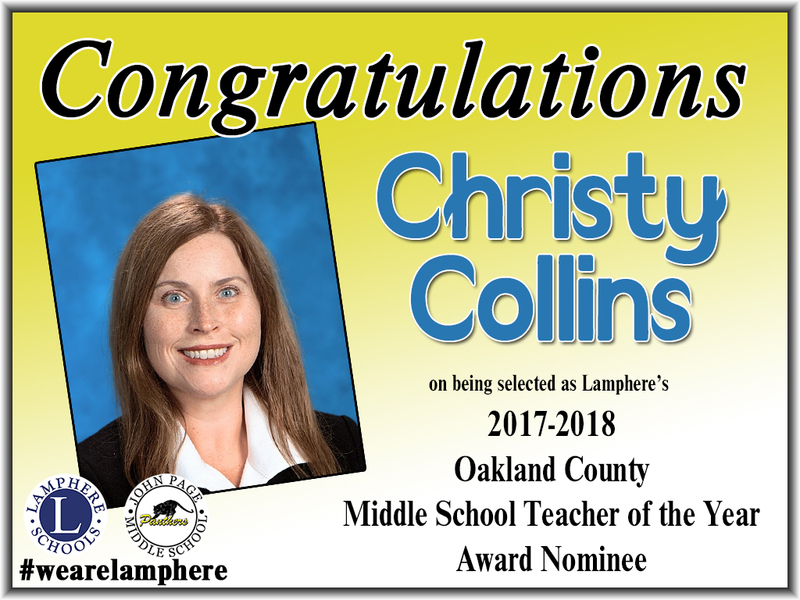 In all, three teachers will be selected to receive the Oakland County Outstanding Teacher of the Year Award that includes a cash prize and a recognition event in May, 2018.